Hasbro's Infinity Gauntlet Unboxing - Pete's Basement Extras! Who're we kidding. This is Pete we're talking about. S'been nice knowing ya'. S'been nice existing. 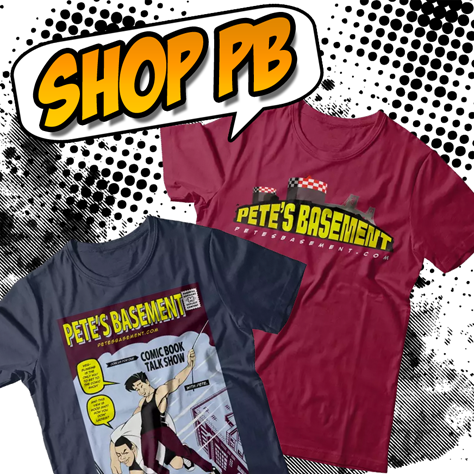 Pizza, Breakfast, & Dad Logic - Pete's Basement Extras! Roger has some insight on a time-saving healthy breakfast for kids. Talking Must-Watch TV Shows & Anime - Pete's Basement Extras! Infinity War Spoiler Review - Pete's Basement Extras! Red, Cheezeburger, and Pete all saw Infinity War, and they can't wait to talk about it! Join the boys at the roundtable for a full-on, spoiler-ridden review of the movie that we've been waiting at least 6 years for! You know those little colored drinks that you get at your corner store for 25 cents? The ones that come in the little keg barrel-shaped plastic bottles? The only things that have withstood economic inflation all these years? Yea, those. What do YOU call them?